It’s interesting to observe the phases of the Moon each month waxing and waning just like our moods. Amazing that our ocean tides change with the gravitational pull of the Moon and Sun. Kids are captivated by the idea of being an Astronaut and one day flying to the moon. Let’s face it, the Moon is one of our greatest phenomenon’s. 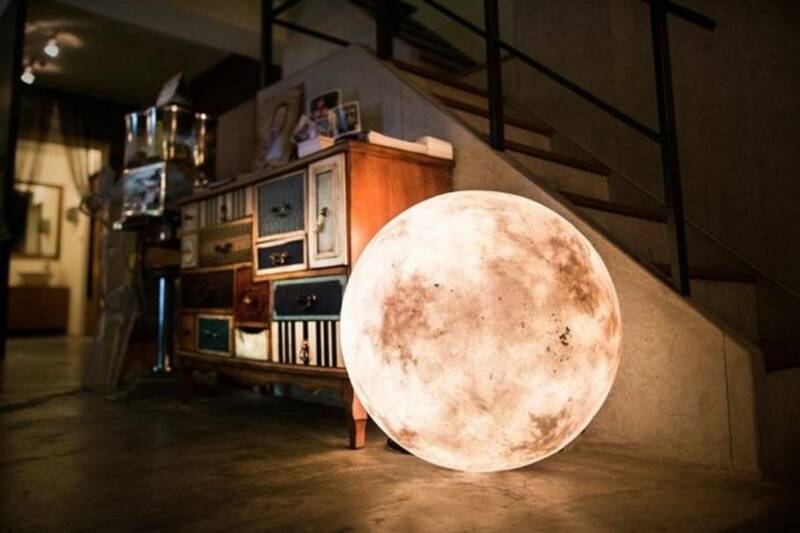 That’s why we love this new Luna light that is inspired by the Moon. Created in Taiwan, Luna is made mainly of glass fiber and non-toxic latex. It’s creators claim the hand crafted Luna to be water and heat resistant, “crashworthy” so we guess that means pretty durable. It comes in seven different sizes with adjustable luminosity. All sizes except the smallest can be hung, or they can be placed on the floor or furniture. Move the Luna around your home, inside or out. Group a few together to create wow factor or a relaxing or even romantic ambience. Use it as a night light for the children. What child wouldn’t want the soothing glow of the moon in their bedroom.